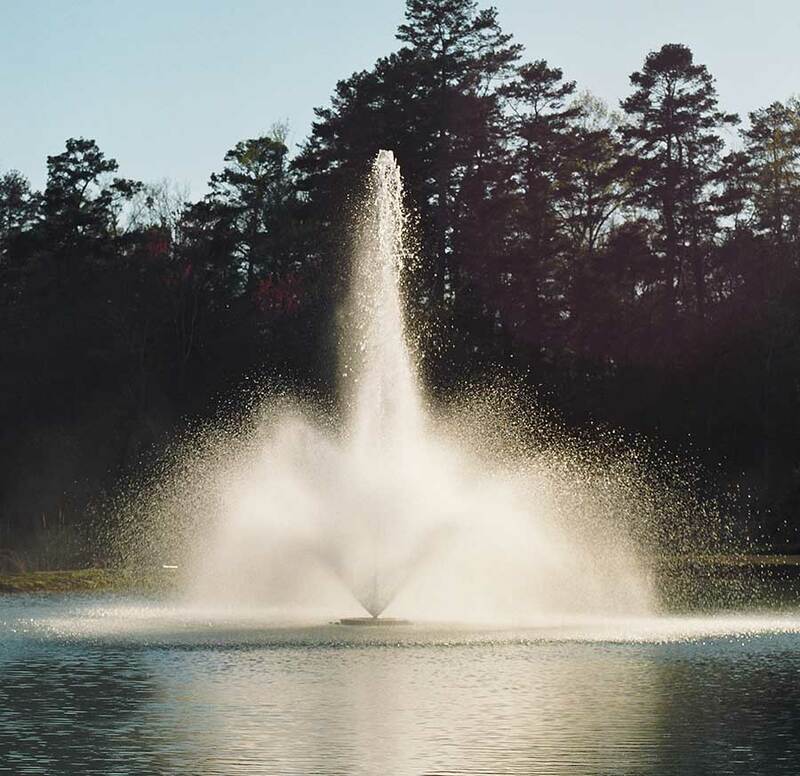 Kasco Marine�s 5.1JF (Single Phase) and 5.3JF (3 Phase), 5 hp Floating Decorative Fountain or Decorative Fountain Aerator is great for larger ponds or when multiple large patterns are desired. The Kasco 5.1JF & 5.3JF Floating Aerating Fountains are unique for its size, in that, it comes standard with 6 interchangeable nozzles and can be operated without a nozzle to give you 7 fountain patterns ranging from 26′ in height to 50′ in diameter. With 7 multiple fountain patterns, you have the freedom to adjust the aerating fountain to fit your pond, weather conditions, and your tastes. Kasco�s 5.1JF & 5.3JF Floating Aerating Fountains do a great job at adding oxygen and improving your pond or lake aeration. The 5.1JF Floating Aerating Fountain is available in a 240V single phase, 60Hz model and the 5.3JF is available in 208/240V, 3 phase 60Hz. The 5.1JF, 240V Floating Aerating Fountain also includes a GFCB protected control panel. The C-95, 240V Control Panel with Timer, GFCB protection, 120V GFI Protected Outlet for Lights, and Photo Eye for light operation comes standard with the 5.1JF Floating Aerating Fountain. Kasco recommends a licensed electrician to install the C-95 Control Panel and the wiring on the 5.1JF to hard-wire the Floating Aerating Fountain into the C-95 Control Panel.